Flavius Claudius Constantius Gallus , commonly known as Constantius Gallus, was a member of the Constantinian dynasty and Caesar of the Roman Empire from 351 to 354. Gallus was a half-first cousin to the sons of Constantine the Great; Constans, Constantine II & Constantius II. In 350, Magnentius had rebelled, killed the emperor Constans, and proclaimed himself emperor. 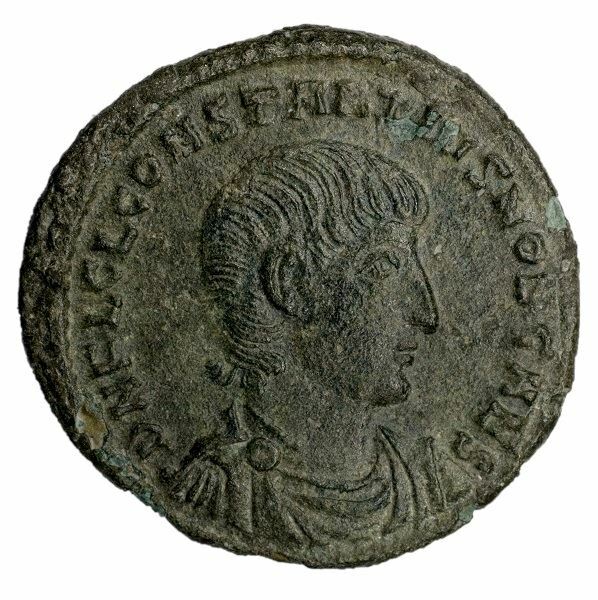 Constantius II prepared to move against the usurper, but needed a representative in the East, so he called Gallus at Sirmium and raised him to the rank of Caesar. However, he conducted his official responsibilities withsuch harshness and cruelty that Constantius II recalled him to Milan, and then had him arrested and executed before he reached Italy. (5) Constantius Gallus 351-354 A.D.
(6) Constantius Gallus 351-353 A.D.